Located in the leafy suburban neighbourhood of Intown Atlanta, Peter Bahouth, former Greenpeace executive director and current executive director of the U.S. 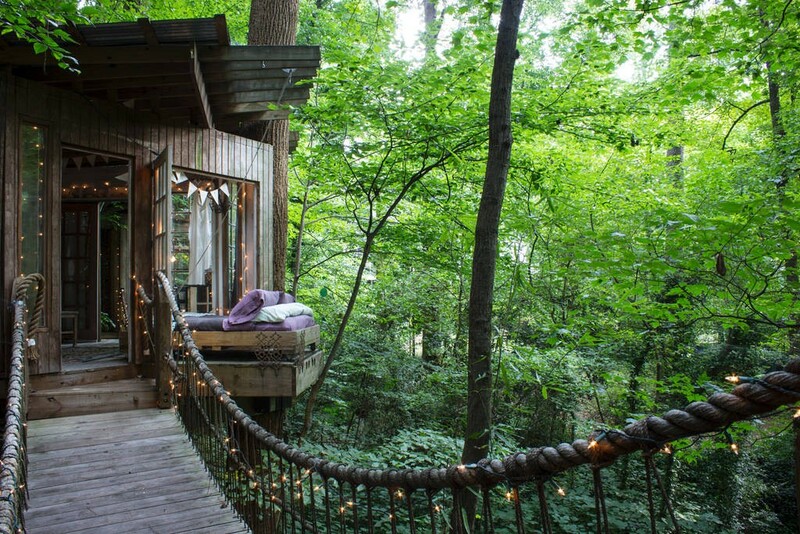 Climate Action Network designed and built the secluded Airbnb Treehouse after six months of design and six weeks of construction. Made up of three small tree houses in total, they were originally built as a way for Bahouth to enjoy more privacy away from his glass-centric modern home. 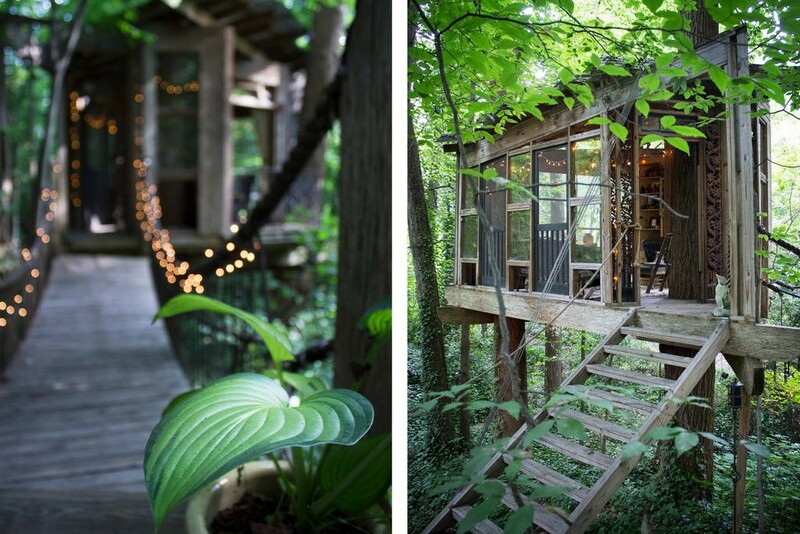 Inspired by his previous environmental activism work, Bahouth constructed his grown-up Airbnb treehouse from recycled materials, like the 80-year-old windows salvaged from a Masonic Temple in South Carolina. He named the three treehouses “Mind,” “Body,” and “Spirit,” and crafted different personalities for each. 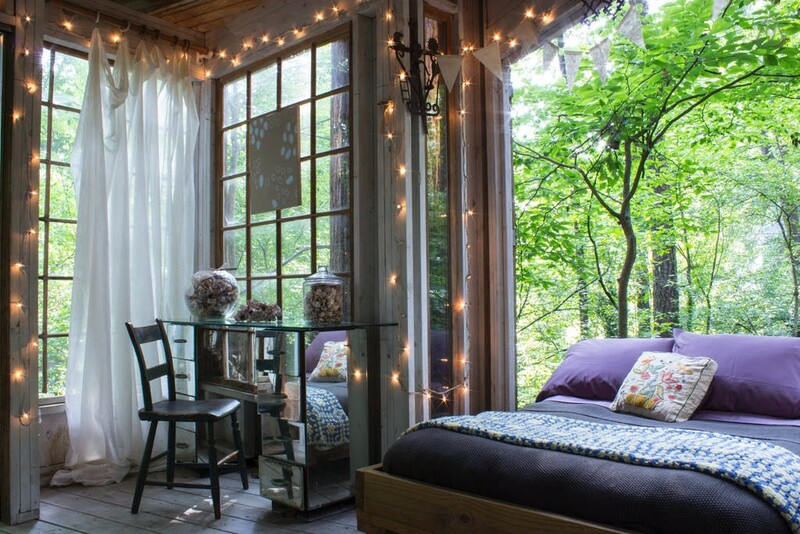 The “Mind” treehouse serves as a living room and comes with cozy seats, a rustic coffee table, and other antique knickknacks collected from flea markets. The “Body” contains the bedroom with an indoor/outdoor wheeled bed that can slide out onto a platform to let guests sleep beneath the stars and above a burbling creek. The third space named “Spirit” is a circular deck with seating for ten built around a 150-year-old Southern Short-Leaf Pine. Seeing its potential to bring the childhood fantasies of others to life, he decided to share it with the public as an Airbnb listing, and it’s now available to rent from $330 AUD per night. 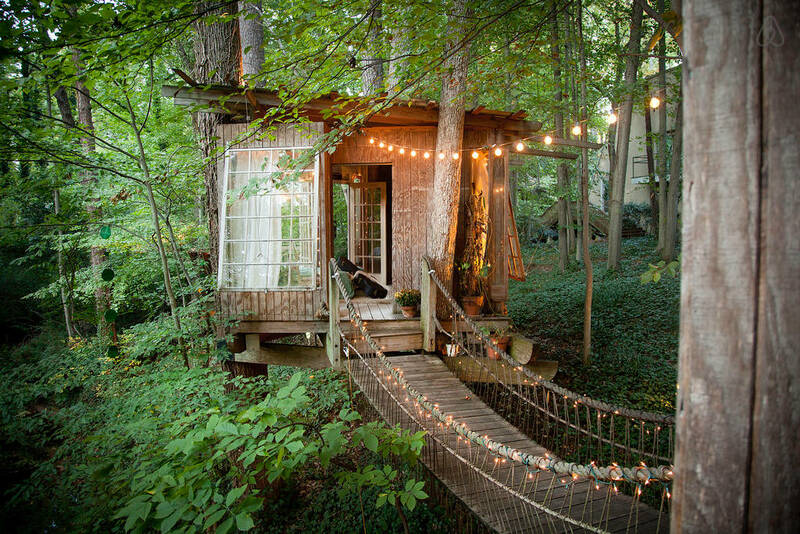 I don’t think I would ever leave. 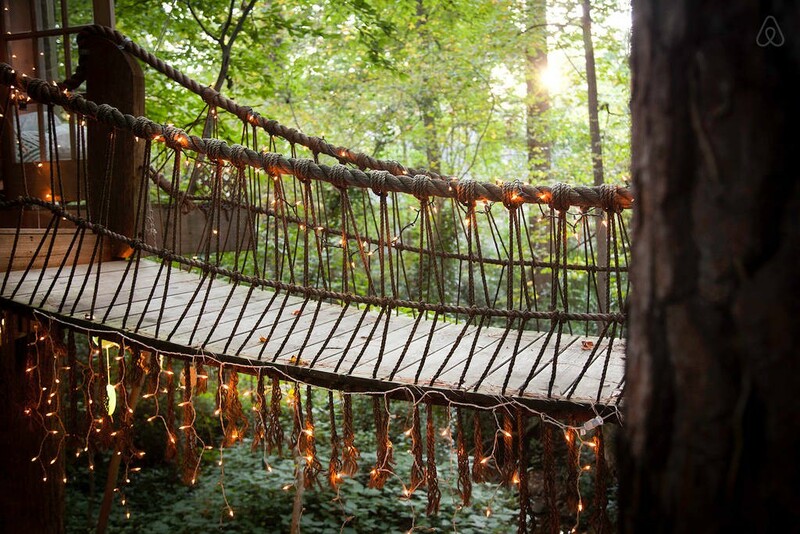 All it needs is Tarzan!! !